Fraudsters stole a record £3,500m last year and economic hardship is likely to trigger even more economic crime according to accountants KPMG. 2011 was the worst year in history. Over 700m was stolen from companies by their own management and £1,300m stolen by employees. It is estimated that professional criminals stole £1,400m. These figures highlight the growing problem of commercial fraud and the need for insurance cover. 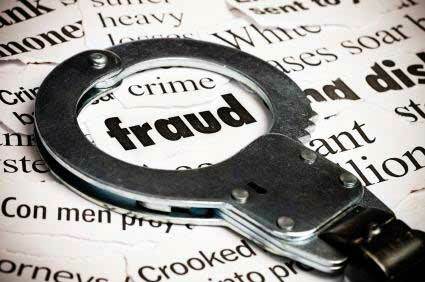 Fidelity Guarantee or Commercial Fraud has been available for many years but businesses have been reluctant to take out cover as it seemed to demonstrate distrust in staff, however, many businesses have been forced to go into administration following fraud by management or an employee. Falsifying either individually or in collusion with others the financial accounts to enable the payment of salaries etc. According to previous reports, a third of all fraud was committed by long standing employees of between 10 and 25 years’ service. One half was done in collusion with others and men are overwhelmingly more likely to commit fraud than women. Youngsters under 25 make up a very small proportion of perpetrators. The cost of cover is low and readily available for most businesses. Employee fraud happens in the best run businesses and it seems sensible to protect yourself against a risk that can cause your business to fail. There is now a growing threat from on-line fraudsters who hack into businesses to transfer money. There may be special cover available against this as well and once again we can help if your company is especially exposed to this risk.